Well is has been an interesting morning – but it doesn’t look like the mystery man has been found. 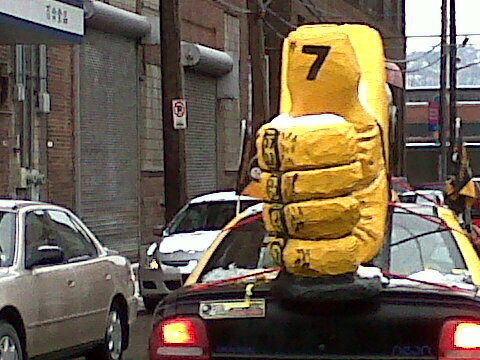 We did see this amazing Dodge Neon (possibly the best use of a Dodge Neon ever). At 7pm the mystery man will pack it in for the night.